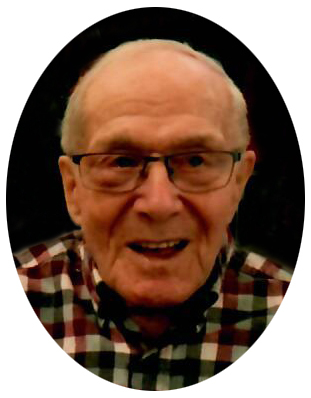 Bernhard Gerhard Wiens, age 91, passed into the presence of his Lord and Saviour, Jesus Christ, surrounded by his family on March 29, 2019 at the Elrose Health Centre. Bernhard was born on the home farm at Herschel, Sask., on April 13, 1927. He attended school in Herschel and continued on with Bible College in Rosthern. Bernhard worked at various jobs through the years including building telephone lines, hauling fuel, driving bus, and of course, farming which he did until his retirement. He enjoyed playing sports with his kids including curling, shinny and ball, and also faithfully watched his children in sporting events and musical activities. All through his life, he loved going for drives on the country roads especially on Sunday afternoons. He also enjoyed gardening and tending his yard to ensure that it was one of the best-looking ones around. Bernhard was a long-standing member of the Rosetown Alliance Church and passed his strong Christian faith on to his family. Bernhard met and married his first wife Alice in 1957 and they started a family soon after. They raised five children on the farm at Herschel, Sask. Bernhard lost his first wife, Alice, in 1981 and then married Anne two years later. They moved from the farm to Rosetown in 1987 and lived there until Anne passed away in 2016. Following Anne’s passing, Bernhard lived in Orange Memories Care Home for a year and then spent his last year in the Elrose Health Centre where he received such exceptional care! Bernhard is lovingly remembered by his family; children Paul (Wendy) Wiens, Karen (Doug) Bergren, Talita (Marv) Hildebrand, Judi (Randy) Clowes, and Julianne Wiens (Justin Harris); grandchildren Steve (Lennae) Wiens, Becky Wiens, DJ (Raelene) Wiens, Josh (Bre) Wiens; Chris (Jess) Bergren, Jen (Jesse) Hein, Angela (Adam) Sapelak; Brittany (Brooks) Thoring, Lindsay (Brady) Funk, Jordan (Alissa) Hildebrand; Tyler (Paige) Clowes and Austin Clowes; great-grandchildren Ryan Wiens, Chase and Brynlee Wiens, Mackenzie and Noah Bergren, Abby and Brielle Hein, Benjamin and Talia Sapelak, Archer, Addison, and Ace Thoring, and Hudson and Roman Funk; sister Helen Warkentin; and numerous nieces and nephews. Bernhard was predeceased by his first wife Alice in 1981, his second wife Anne in 2016, his parents Gerhard and Katharina Wiens; sisters Aganetha, Maria and Katie; brothers Jacob, George, Peter and John, and numerous in-laws. The Funeral Service was held at 2:00 p.m. on Saturday, April 6, 2019 at Rosetown Alliance Church with Reverend John Barkman officiating. Memorial donations may be made to Focus on the Family Canada, 19946 80A Avenue, Langley, BC, V2Y 0J8.